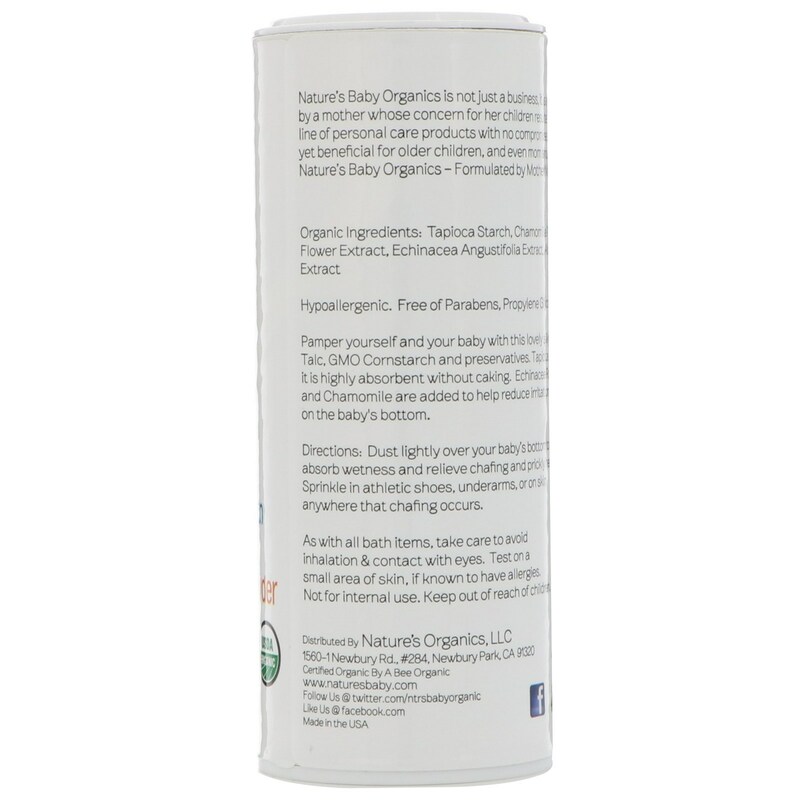 Nature's Baby Organics is not just a business, it is a labor of love. Developed by a mother whose concern for her children resulted in a pure and natural line of personal care products with no compromises. Gentle enough for babies, yet beneficial for older children, and even mom and dad. 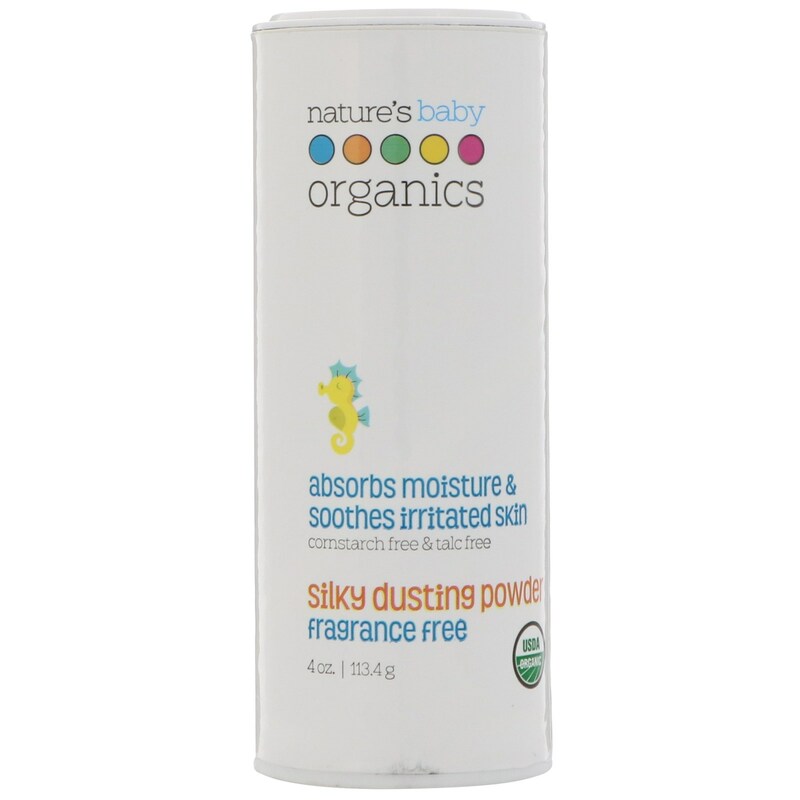 Pamper yourself and your baby with this lovely silky powder that is free of Talc, GMO Cornstarch and preservatives. Tapioca Starch is used because it is highly absorbent without caking. 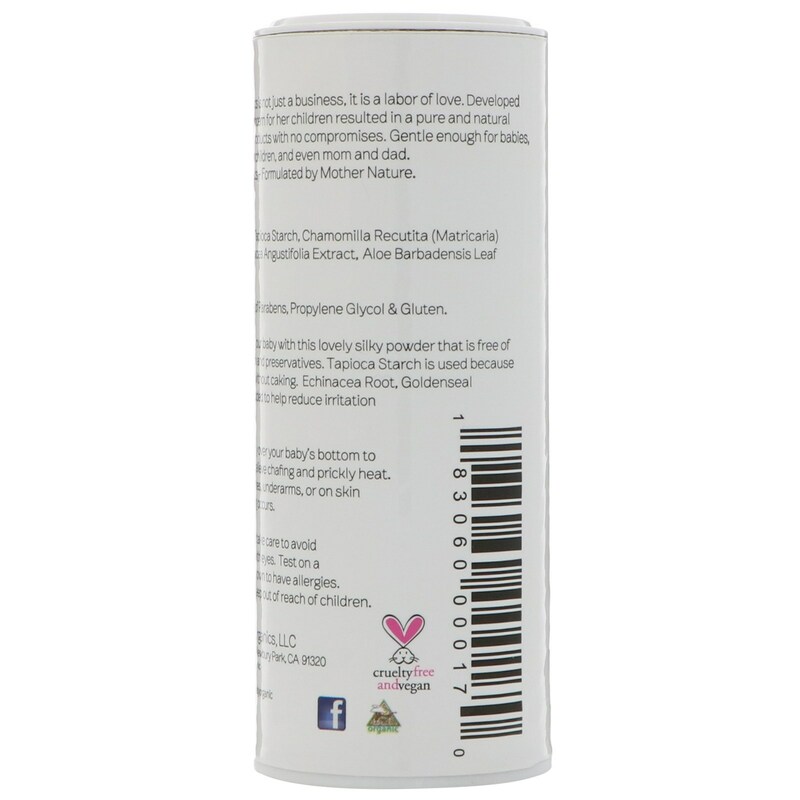 Echinacea Root, Goldenseal and Chamomile are added to help reduce irritation on the baby's bottom. Dust lightly over your baby's bottom to absorb wetness and relieve chafing and prickly heat. Sprinkle in athletic shoes, underarms, or on skin anywhere that chafing occurs. Organic Ingredients: Tapioca starch, chamomilla recutita (matricaria) flower extract, echinacea angustifolia extract, aloe barbadensis leaf extract. As with all bath items, take care to avoid inhalation & contact with eyes. Test on a small area of skin, if known to have allergies.